For almost its entire history, Sochi has been Russia’s resort, a place where power and play interact. And one man, Miron Merzhanov, played a unique role in shaping the town’s appearance in the 20th century, his biography capturing the potentials and pitfalls afforded to architects by the projects of Soviet leisure. The first peacetime settlement on the mouth of the Sochi River, Dakhovsky, arose in 1874, in an area largely owned by some of the richest and most powerful families in the Russian Empire. Sochi’s fate took a dramatic turn at the end of the 19th century, when a government commission sent to study the region concluded that its balmy climate and rich mineral deposits had great therapeutic potential. The first sanatoriums followed quickly thereafter, and numerous summer houses were built in the first decade of the 20th century. The Revolution and subsequent Civil War ended this first period of rapid development. 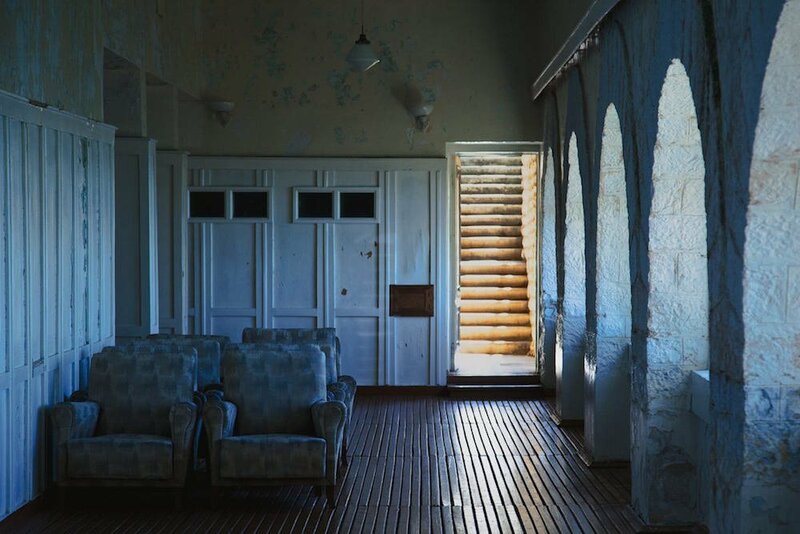 While the pace of new construction in the early Soviet years remained subdued, new workers’ sanatoriums began to open in the city’s now nationalised hotels and summer houses only one year after the region finally returned to peace in 1920. With the creation of the new, Soviet man as a key plank of party propaganda, the Bolsheviks devoted considerable energy to social strategies for improving the health of their citizens. Thus was born the much idealised Soviet resort. Sochi had fewer connotations of Tsarist-era decadence than Crimea, and further research into the region’s climate and natural resources suggested it as the ideal site for the construction of what would come to be the Soviet Union’s leading resort town of Sochi. Stalin, who claimed that bathing in the mineral waters of the nearby Matsiestinsky Spring had almost entirely cured a long-term problem with his left arm, approved. In 1926, the Soviet government issued a decree on “the establishment of the Sochi-Matsientinsky Resort”. This “strategic object” was to be “of high national importance”. The first urban plan for the city was quickly developed, detailing the main lines of communication and significant urban spaces. Squeezed tightly between the mountains and the sea, Sochi was always destined to grow laterally. According to the first urban plan, a wide thoroughfare, Stalin Prospect (now Resort Prospect) would form the axis for this growth and access to the city’s sanatoriums. Numerous state agencies and industrial enterprises were given plots to transform into sanatoriums for their functionaries and workers, and many of the Soviet Union’s best architects were hired to design and build them. There were, however, notable exceptions, where tenders were picked up by young and as yet unheard of architects. Such was the case for Miron Merzhanov, whose design for the Red Army (RKKA) sanatorium triumphed over his competitors’ proposals. As a child, Miron Merzhanov dreamt of elegant palaces which, on waking, he would try to draw from memory. When it came to choosing a career, the young Miron did not hesitate, training in St Petersburg, Krasnodar and Moscow. Despite a lack of official qualifications, Merzhanov managed to conceive of a plan for the RKKA sanatorium that genuinely stood out from his competitors’ proposals. This was largely down to Merzhanov’s success in radically rethinking what a sanatorium should be. Until Merzhanov’s innovations, Soviet sanatoriums had been conceived of primarily as hospitals. Merzhanov’s idea was to envisage the sanatorium as a beachfront hotel, where the primary therapeutic functions would be those provided by nature: sun, sea, fresh air and tropical fauna. It is for this reason that Merzhanov largely avoided ornamentation and chose simple and minimalist forms which would not distract from the beauty of the surroundings. 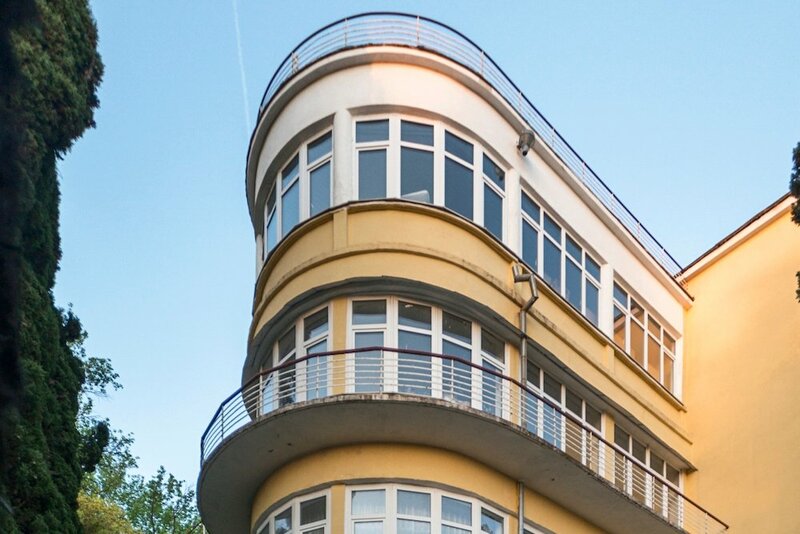 It is also for this reason that the priority is not on the beauty of the individual buildings that make up the sanatorium, but rather on the architectural ensemble viewed in its entirety. 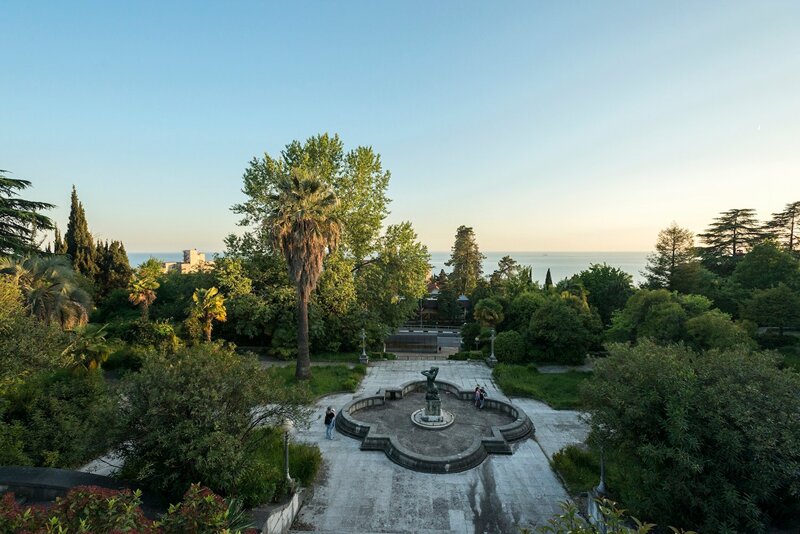 When thus viewed the various buildings of the sanatorium are revealed to form an inverted amphitheater, which looks down towards the sea through the foliage of a beautifully landscaped garden. To reflect these functional and aesthetic choices, Merzhanov decided to resist the neoclassicism heretofore predominant in Sochi in favour of the Russian avant-garde style. 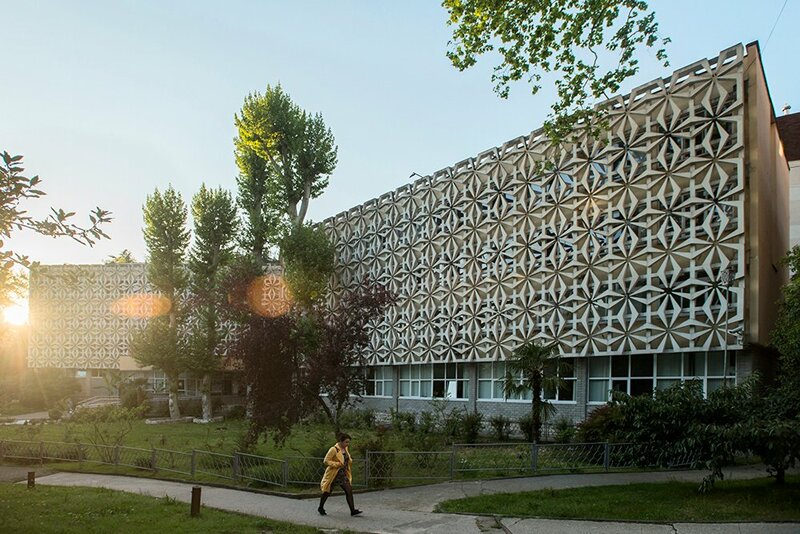 The form taken by the ensemble of buildings, which is notable for holding the sun, garden and sea in “a warm embrace”, was such a success that it was adopted for the designs of other sanatoriums in Sochi, including the Ordzhonikidze, Metal Workers’, Science, Seagull and Daybreak institutions. A further novelty introduced by Merzhanov was the inclusion of a funicular railway to connect the most elevated buildings in the terraced ensemble directly to the sea. The railway also functions as an axis which highlights the symmetry of the ensemble. 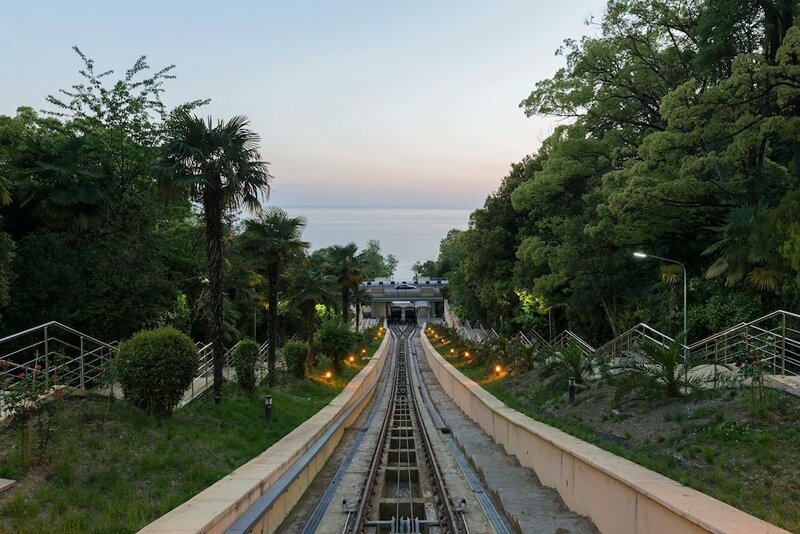 For many years this funicular railway was the only of its kind in Sochi, and it became one of the city’s best-loved attractions. As an architectural monument the sanatorium was equally popular with the citizens of Sochi; although the avant-garde style fell out of favour, Merzhanov made sure to sweeten the angular pill of excessive functionality with a number of rounded and soft features. The RKKA sanatorium was built in five years, and on completion turned Merzhanov into an overnight star. The project was feted both within the Soviet Union and abroad, where Merzhanov was awarded a Grand Prix at the 1937 Paris Exhibition. Merzhanov’s reputation in the Soviet Union, however, had been secured long before this date. In 1931, Merzhanov was appointed the principal architect of the Department for the Economy of the Central Executive Committee of the USSR, at that time the most powerful institution in the country. In this period, Merzhanov was assigned to two further projects in Sochi: the Bocharov Ruchey residence, commissioned by People’s Commisar for Military and Naval Affairs K. E. Voroshilov, and a summer house for Stalin in the mountains on the banks of the Matsesta River. In both these projects Merzhanov combined a rational and convenient layout with simple and elegant decorative choices. 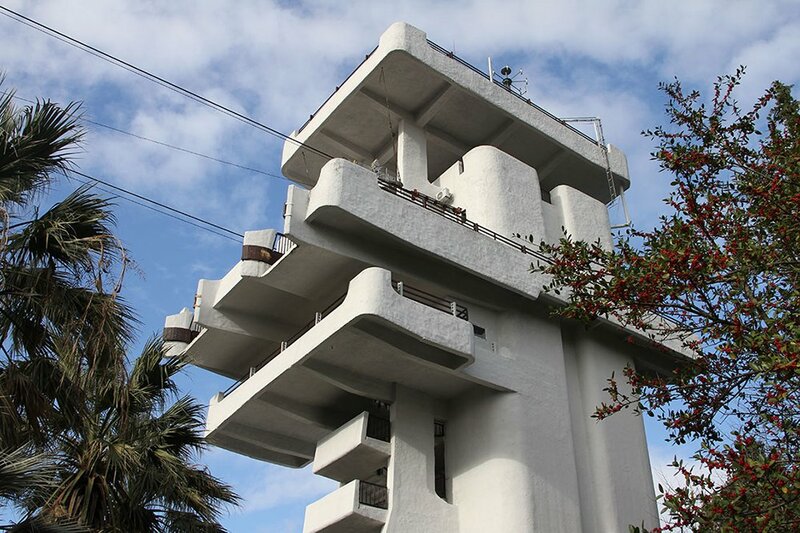 The project for Stalin’s summer house in Sochi was approved in 1934. As with his other summer house projects, Merzhanov was given full freedom to make not only stylistic but also functional choices as to the size and form of the buildings. Merzhanov settled on an updated neoclassical style for the project, successfully combining the functionality and parsimony of avant-grade forms with classical principles for the layout of the rooms and the design of the facades. The summer house is made up of a number of buildings connected by wings and enclosing an inner courtyard. Exotic wood predominates in the decorative elements of the interiors. The architecture is rich with symbolism and includes numerous references to the personality of its owner. As for what he thought of it, Merzhanov can hardly have needed more recognition than the invitation he received personally from Stalin to attend the housewarming party. Merzhanov designed summer houses for the Soviet leader in locations beside Sochi. He even came to be known as “Stalin’s architect”, although this appellation did not save him from Stalinist terror, and may well have elicited the very envy that led to his denouncement. Merzhanov and his wife were arrested in 1943, at the very height of the Second World War. He was sentenced to ten years of hard labour and his property confiscated. Luckily for him, he avoided the labour part: owing to his undeniable talents and the wartime shortage of skilled labour, Merzhanov was ordered to assist with the development of an urban plan for the new city. Merzhanov thus continued with his career even while living in forced exile, thousands of miles from his family and his home. While the end of the war brought an amnesty for deserters and thieves, those sentenced for political crimes were not pardoned. Merzhanov’s life took another unexpected turn in early 1949, when, despite the black mark which still hung over his name, he was summoned to a meeting with the Minister of State Security in Moscow. The all-powerful ministry had recently received a large sum for the construction of a sanatorium in Sochi, to be named in honour of Felix Dzerzhinsky, founder of the secret police. 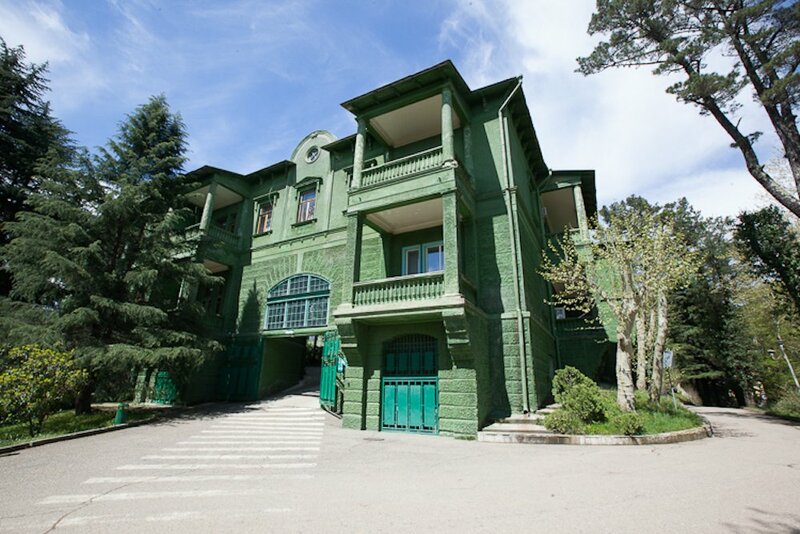 Having completed a tour of the existing sanatoriums in the Black Sea region, the head of the ministry, Abakumov, had decided that Merzhnov should be entrusted with the project. Originally Merzhanov wanted to turn down the project, but later, perhaps recalling his childhood dreams of elegant palaces, he reconsidered. Despite accepting the project, his disgraced status as a political prisoner remained. Despite the many ordeals he had suffered, and the security which accompanied him, on arriving in Sochi Merzhanov, as so many before him, felt reinvigorated by the sun and sea air. After inspecting the site and admiring the untouched nature he found, the architect decided that the new sanatorium should be built in the best classical traditions as a symbol of the victorious, post-war era. After his designs were approved, Merzhanov was moved to Sochi, still under armed guard, to take over at the busy construction site. Unfortunately, he would soon lose managerial control over the construction work when his patron Abakumov was, in turn, himself arrested. Construction continued at the Dzerzhinsky sanatorium according to Merzhanov’s plans, and in four years the monumental architectural ensemble was completed. As with the RKKA sanatorium, the ensemble was designed to “embrace” a landscaped garden full of exotic plants. Stylistically the sanatorium (as with a further two sanatoriums in Sochi, designed by Kuznetsov and Zholtovsky respectively) is an example of the Palladian style. Sadly, Merzhanov would never see his last creation completed. He spent the last three years of his exile in Krasnoyarsk, where he stayed long after the end of his sentence, returning to Moscow only later. A campaign launched in 1955 targeting perceived excesses in the architecture of the Stalinist period yet again dictated a new set of ideological and aesthetic requirements for Soviet architecture. While this opened a path for a new generation of architects, Miron Merzhanov was quickly forgotten. The mysterious disappearance of a memorial plaque dedicated to the architect, which had once hung from the façade of the RKKA sanatorium, proved the authorities were in no hurry to rehabilitate him. Sochi remains Russia’s resort of choice, but those who shaped it are no longer feted as they once were.